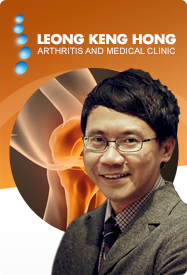 Dr Leong Keng Hong is a Consultant Rheumatologist at Gleneagles Medical Centre. 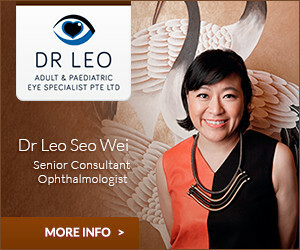 He is active in research in various areas of Rheumatology including lupus, osteoporosis and arthritis. He has written numerous scientific papers in local, regional and international medical journals as well as chapters in medical textbooks like the Oxford Textbook of Rheumatology. In collaboration with a nutritionist he has published a book for the layman entitled "101 Questions and Answers about Osteoporosis". He is a much sought after speaker at regional and international medical meetings as well as public forums on arthritis, rheumatism and osteoporosis.